When it comes to the security of your IT network and data, viruses, spyware, and hackers don’t discriminate. Whether you’re an insurance company, educational institution or financial services organization, you’re now a target just as much as any other company, regardless of size or industry. And, while the dark web may not be a threat to your business now, the amount of stolen corporate data is increasing. So how do you get the same level of data security as larger enterprise organizations without investing a fortune? Our Managed Firewall and Security service provides small to mid-size businesses in Los Angeles with a cost-effective way to prevent unauthorized network and data access, securing critical business information 24×7 and monitoring threats from the dark web. TVG Consulting protects you and your the dark web with identity protection, infrastructure backups, and password protection. We allow you to benefit from the added security of a firewall, without requiring additional resources, management expertise or hardware. 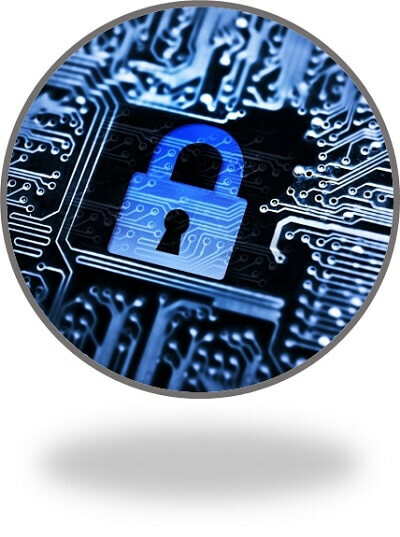 With our cyber security monitoring, we protect you from cyber attacks and data breaches. What's included in TVG's managed firewall service? Network security is the practice of using various technology solutions and strategies to protect hardware, software and sensitive digital information from service disruptions and threats such as theft, malware, spyware and other dangers online. If you’ve never heard of network security, you may be familiar with other synonymous terms such as cyber security, computer security, IT security or a few others. If an employee uses the Dark Web on work devices, your network is at risk. With network security, IT specialists can monitor hacker forums for major red flags, for instance, direct mentions of employees or your business. Before the Internet took over the world, “firewalls” were more commonly associated with physical walls that were implemented during building construction to protect certain rooms from fire. While those firewalls still exist, most people associate firewalls with online security these days which created a new definition. Today, firewalls are a crucial facet of a computer network implemented to prevent unauthorized system access while still facilitating outward communications. Firewalls keep the bad stuff like hackers from the dark web from getting in. Think of it as an added layer of protection. What’s included in TVG’s Managed Firewall Service? With TVG’s Managed Firewall Service, we act as an extension of your IT staff, providing you with the hardware support you need and the security expertise you need. You can provide users with anytime, anywhere access to needed network resources, without putting your infrastructure, business data, or employees at risk. We will alert you if there is a breach on your infrastructure. Our team of IT consultants will take the necessary steps to mitigate the attack and help prevent future cyber attacks from the dark web.